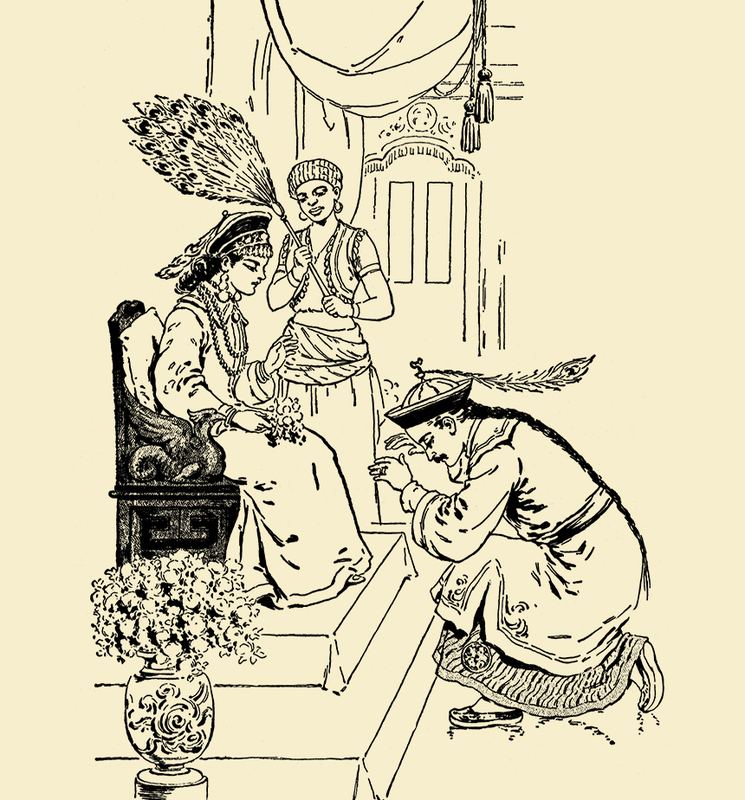 Illustration: ALADDIN PAYS HIS RESPECTS TO THE PRINCESS. From the story “Aladdin, Or The Wonderful Lamp.” Tom Thumb and Other Stories. McLoughlin Brothers: New York. Ca 1904.